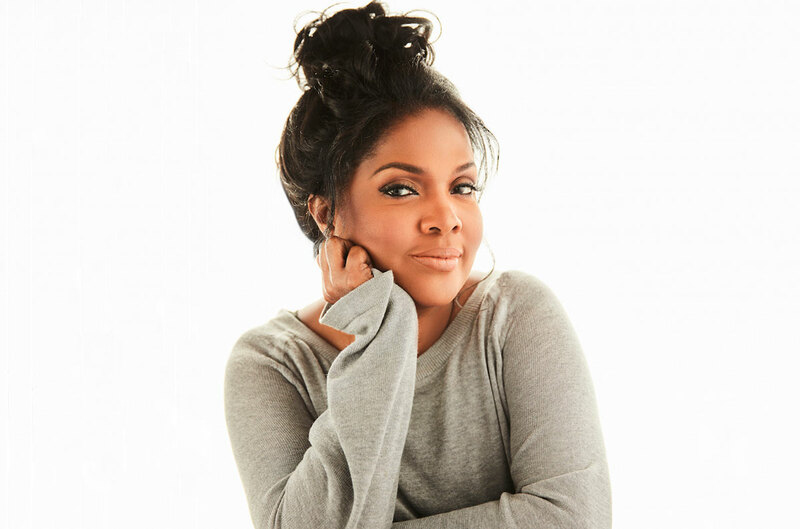 When CeCe Winans, her husband Alvin Love II and their two children moved into their gated community in the Nashville suburb of Brentwood in the mid-’90s, the house rule was the same one she’d grown up with in Detroit, on Motown turf: They listened to gospel, and only gospel. The conviction ran deep: Her singer father David Winans, known as Pop, had often told of how he’d refused to follow his friend Sam Cooke from churches into nightclubs in the 1950s. Winans emphasizes that she didn’t experience her parents’ all-gospel edict as deprivation. For every traditional-sounding mass choir or Southern quartet, there were innovators who incorporated current soul, pop and rock flavors into their arrangements and instrumentation. At this point in her career, Winans has accumulated a great deal of perspective on her formative environment and familial ties, on paths taken, on priorities preserved. She’s remained devoted to gospel even though her stylistic adaptability brought her popularity well beyond the gospel world. She even started a nondenominational church with her husband. Her new album, Let Them Fall In Love, weaves together the disparate threads of her experience — in Detroit, in the Winans lineage, in an ever-evolving musical tradition. And it bears the fingerprints of a new generation, thanks to the contributions of her son, Alvin Love III. Their songs and sound translated into a then-unprecedented degree of crossover success for an African-American gospel duo. “When we went in the studio, we just produced and put out what we liked, what appealed to us,” says CeCe. “And to us it wasn’t something that was really new and different [for a pop-savvy approach] to be labeled ‘gospel.’ … Then we realized the rest of the world thought, ‘Ooh, wow. This is gospel? '” They became favorites in the strikingly white Christian contemporary music world, frequent singing partners of Whitney Houston and bona fide R&B chart-toppers. As a kid, Alvin III would try to weasel his way onto the stage at BeBe and CeCe shows, and he eventually started singing backup for his mom on tour. He’d heard her make use of the “regal, amazing quality of her voice” night after night, and he missed it. “A lot of times with the music that she’s been doing recently, I feel like it’s more of a serene-type, almost like a gospel Enya, if you will,” he offers, likely referring to gomsammery tranquility that characterized his mom’s albums Throne Room and Songs of Emotional Healing. Winans is obviously accustomed to working with family members, having done it to great success throughout her career, but entrusting an entire album into her son’s hands was a first, for her and him both. For that reason, she asked her friend Tommy Sims, a heavyweight in gospel, R&B, country and pop recording scenes, to co-produce with Alvin III. Sims’ connections were essential when it came to securing A-list players, arrangers and engineers from Nashville to New York. Still, Let Them Fall in Love was profoundly shaped by the intergenerational dynamic between Winans and her son. Other than “Why Me Lord,” the penitent Kris Kristofferson country classic, and “Marvelous,” a stately praise chorus penned by Dwan Hill, the leader of Nashville Life Church’s worship band, all of the songs were written by Alvin III. “Run to Him” echoes the tried-and-true BeBe and CeCe approach; the “he” in the lyrics could almost be a loyal lover to whom she’s running. The sentiment is delivered Diana Ross & the Supremes-style. (“It is so Motown-sounding,” CeCe concurs.) But many other compositions, including “He’s Never Failed Me Yet,” “Peace From God” and “Lowly,” are occasions for bold-faced testifying to God’s faithfulness. The horn-heated “Hey Devil!”, which features the peppery backup of Detroit gospel veterans The Clark Sisters, and the funky “Dancing in the Spirit,” lifted by the robust unison singing of Hezekiah Walker’s mass choir, even launch Winans into flamboyant charismatic mode. On a recent Sunday, Winans swayed and clapped next to her husband in the front pew through half an hour of praise and worship choruses that ebbed and flowed with anthemic soft rock energy. At the appointed moment, she walked up the carpeted steps to the stage and joined the band, which included Alvin III, vamping at the end of a song. She started off intoning soft “hallelujahs” and gradually swelled into full-voiced declarations of love for Jesus. Then she began to pray aloud. “Because of your love, Lord, we are set free,” she called out. “Do I have any free people here this afternoon?” After welcoming first-time visitors and collecting the offering, she took her seat again.